BROOKLYN — This sculpture has something to say. 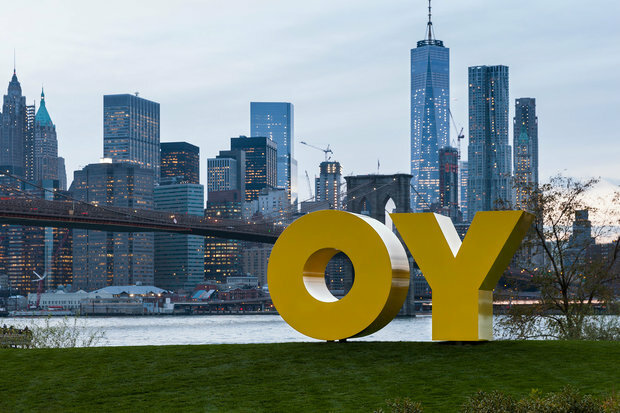 Depending where you're standing, an enormous "O" and "Y" that's recently been installed on the waterfront of Brooklyn Bridge Park can have different meanings. 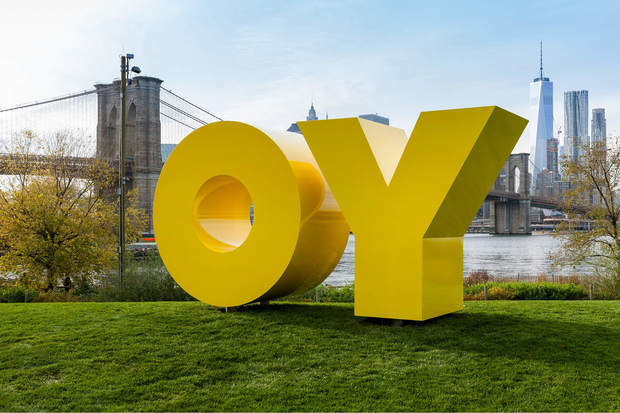 If you're in the park facing the Manhattan skyline, the sculpture reads "OY," a commonly used Yiddish expression. 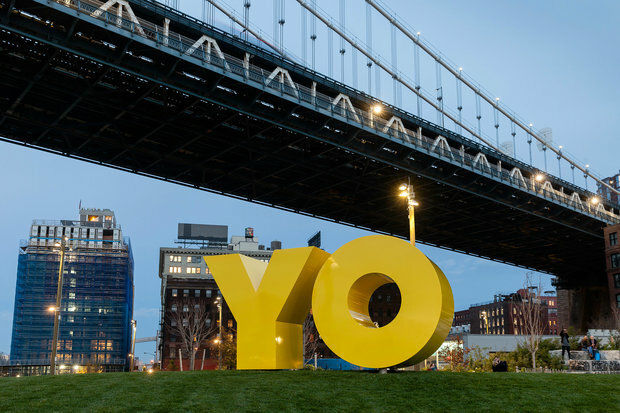 But if you're viewing the sculpture from across the river in Manhattan, it reads "YO." Another sculpture of a giant hand pointing to the sky is also headed to the neighborhood soon. The new sculpture, located on the park's Main Street lawn, was designed by artist Deborah Kass and commissioned by Two Trees Management Company. The artwork coincides with Kass' new exhibit "No Kidding" at the Paul Kasmin Gallery, opening Dec. 9. The OY/YO sculpture will be on display until August 2016 on the Main Street lawn. The yellow sculpture is made of painted aluminum and measures 8 feet by 17 feet by 5 feet.